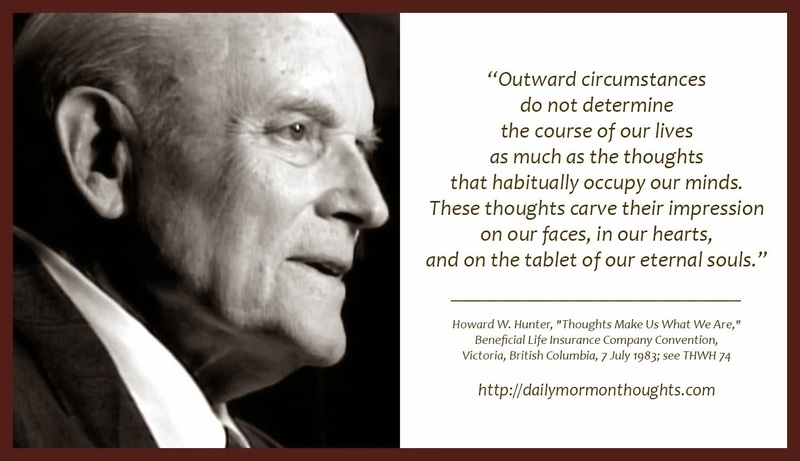 "Outward circumstances do not determine the course of our lives as much as the thoughts that habitually occupy our minds. These thoughts carve their impression on our faces, in our hearts, and on the tablet of our eternal souls." 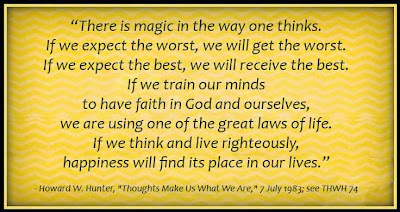 President Hunter believed in the "magic" of how a person thinks about life—that a man can "make his life what he chooses it to be" and in particular, "lead his life to a God-like nature." "If we life righteously, happiness will find its place in our lives." What a beautiful promise. 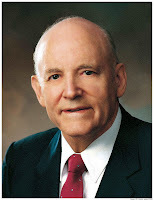 President Hunter always seemed very calm and serene. 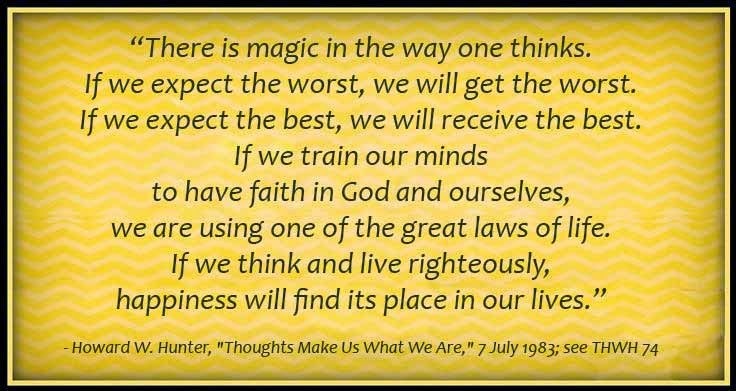 I think these thoughts reflect how he lived his life.